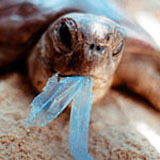 Wildlife Queensland has taken over the QCC campaign to ban and restrict single-use plastic bags in Queensland. We want to see a ban put in place and this election is the opportunity to get all political parties to make that commitment. Wildlife Queensland is calling for all seven political parties and all independent candidates to support action to rid Queensland of this plastic menace. We want assurance that our wildlife will be protected from the threats and our waterways, beaches and marine environments kept clear of wasteful and deadly plastic litter. We are also calling for a public discussion paper on options to restrict and manage the use of the plastic bag (and other identified non-biodegradable plastic packaging items) in Queensland, to be released within three months of the 2015 state election. Do the right thing, Queensland! Ban the single-use plastic bag! Single-use plastic bags have a useful life of about 12 minutes, the average time it takes to get groceries home for the supermarket. Yet they take up to 1000 years to fully decompose. In Australia, we use about four billion bags every year. Of that, Queenslanders use up to one billion. The average household collects 60 bags every week but only three per cent are returned for recycling. Most of these bags end up in landfill, which is not a good thing. But many – up to 50 million – are lost and end up on beaches and in waterways and other environments. They clog streams and many, mistaken for food, are ingested by wildlife. Plastics in the oceans kill over one million sea birds and 100,000 sea mammals annually. In Moreton Bay alone, ingested plastics account for approximately 30 per cent of turtle deaths. A 2014 study by Keep Australia Beautiful concluded that Queensland was the most littered mainland state in Australia, with plastics and containers being a significant part of that litter. Ridding Queensland of this threat is something we can act on. We can all do something to solve the problem by restricting our reliance on single-use plastic bags and non-biodegradable plastic packaging. HELP US BAN THE BAG!